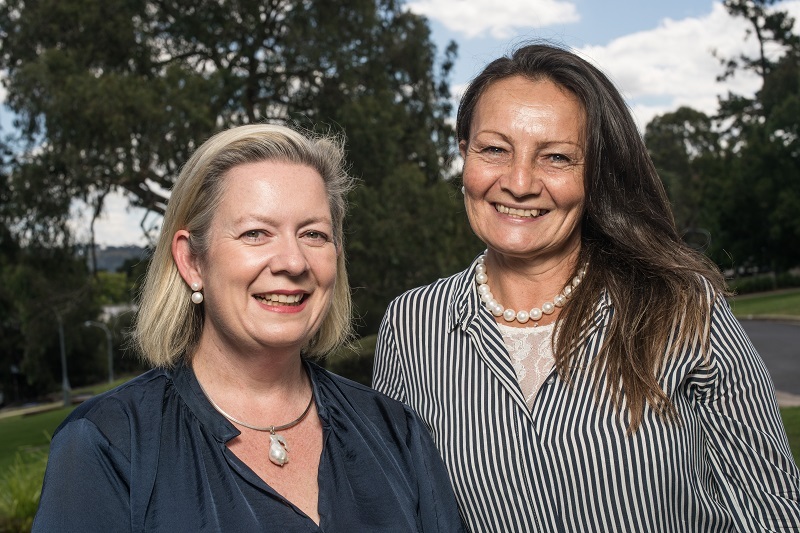 Two University of New England staff members – Rechelle Leahy and Lisa Shipley – will give voice to Rural, Remote and Regional (RRR) women as part of an Australian delegation to the United Nations in New York this month. Rechelle and Lisa, both Board Directors of the National Rural Women’s Coalition (NRWC), will take part in discussions about gender equality and the empowerment of rural women and girls at the Commission for the Status of Women (CSW) forum. Major topics for debate include access to the media, and information and communications technologies. The NRWC, which represents the views of rural women and provides policy advice to the Australian Government, is running two side events. One concerns e-Leadership and technological access to education for RRR women; the other is about engaging children in discussions on family and domestic violence. The NRWC Board will also participate in an Australian Government presentation on telecommunications and e-learning. Rechelle, Acting Associate Director of the UNE Strategic Procurement Directorate, said it was a fantastic opportunity to network internationally and to contribute to the agreed wording of UN resolutions that have global impact. “For the NRWC to be invited by the Office for Women – Department of Prime Minister and Cabinet to be the lead non-government organisation at the conference is a great honour,” she said. It’s not the first time that Lisa, a Lecturer within UNE’s School of Rural Medicine, has been involved in UN proceedings, having been a member of the National Aboriginal and Torres Strait Women’s Alliance delegation to the CSW forum in 2014. “It is important that indigenous women’s voices are included in the dialogue at national and international levels,” Lisa said. “Our needs are always more compounded. For instance, rural women advocating for access to technology usually already have it, whereas Indigenous women living on country often don’t even have a computer, let alone slow broadband. How can a First Nation woman in Australia access online learning with no computer, telephone or library? Both delegates thanked Vice-Chancellor Annabelle Duncan for supporting them to attend.